The THAAD missile defense system will be operational “in the coming days,” US Pacific Command Admiral Harry Harris told Congress. It comes amid heightened tensions between the US and North Korea. Speaking to the House Armed Services Committee on Wednesday, Harris said the Terminal High Altitude Area Defense (THAAD) missile defense system will be "operational in the coming days to be able to better defend South Korea against the growing North Korea threat." He called THAAD "very important," adding that it is a "defensive system that will help protect South Korea from ballistic missile attacks from North Korea." THAAD is designed to intercept short, medium, and intermediate-range ballistic missiles during their terminal flight phase. Equipped with long-range radar, it is believed to be capable of intercepting North Korea’s intermediate-range ballistic missiles. The system was moved onto a golf course in Seongju, North Gyeongsang Province, South Korea on Tuesday, prompting clashes between locals and police. 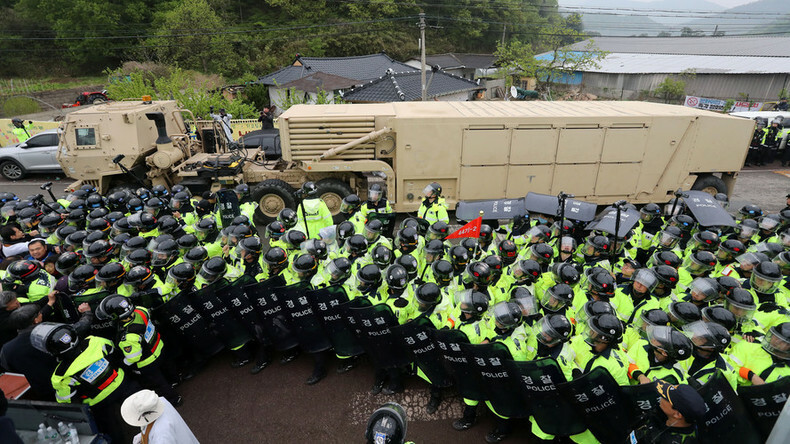 While South Koreans remain split over the issue, Beijing has repeatedly spoken out against THAAD over fears it will undermine its own deterrence capabilities. However, Harris said on Wednesday that it "poses no threat to China." Russia has also voiced concern over the effectiveness of THAAD’s deployment in South Korea, urging those involved to consider the escalation of tensions it will cause. Harris also stated on Wednesday that the US can defeat any North Korean missile attack on the US carrier strike group which is currently in the region. Speaking to a lawmaker in Congress, Harris said he does not share his “confidence” that North Korea will not try to attack the United States once it is capable of doing so. He said the “inflection point” will come once Pyongyang has capabilities to match the US. Harris also said the US should study the possibility of placing missile defense capabilities in Hawaii to defend against Pyongyang, and said he is advocating for a defensive Hawaii radar. Meanwhile, when questioned about why there was confusion over the whereabouts of the 'USS Carl Vinson' after Trump announced an "armada" was being sent to the region amid rising tensions with Pyongyang, Harris said he was responsible. "That's my fault and I'll take the hit for it," he said, adding that he failed to adequately communicate its whereabouts to the media. 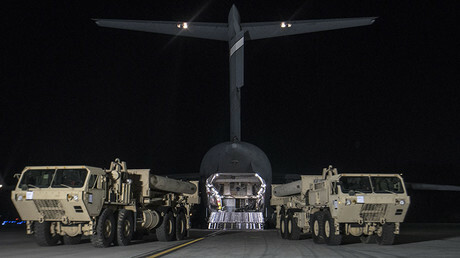 Harris' THAAD announcement came just hours after the US and South Korea took part in a combined firing drill which included more than 2,000 South Korean and American troops. 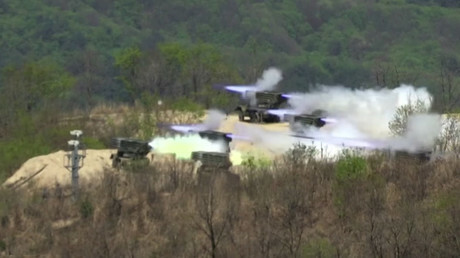 Those drills came after North Korea hosted its own military exercise in Wonsan, to mark the founding of the country's army.